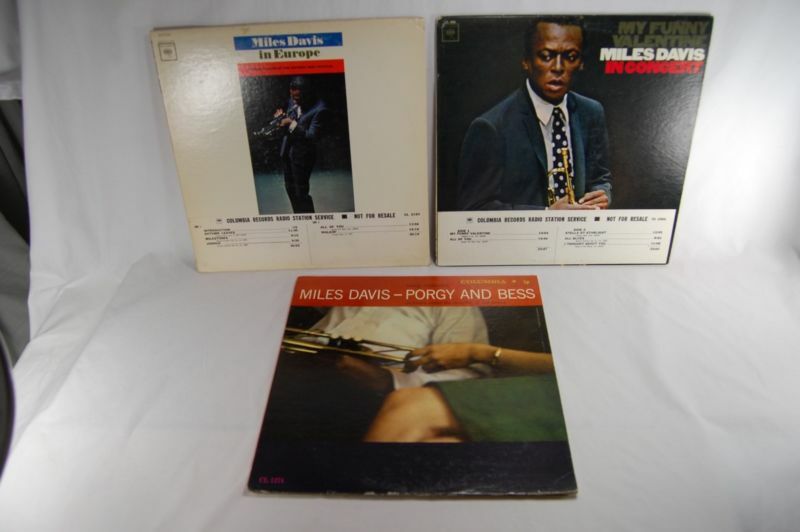 What we are offering here is a set of 3 Miles Davis LPs. All three are original first pressings, all three are white label promos, and all three are Mono mixes. All three are Rare! They would be a great addition to anyone’s collection. TO PROTECT THEM ON THEIR WAY TO YOU.PLEASE CHECK MY FEEDBACK GOOD LUCK! Unless otherwise arranged, we expect payment to be made within 72 hours (3 days) after purchase. So, if you win the bid or purchase the item on Sunday at 8 pm, we would expect payment by Wednesday at 8 pm. Thank you in advance for your cooperation! We ship on Thursdays only, and only to those people whose payments have been confirmed. PLEASE NOTE: If your auction ends on a Wednesday, and if you want to be included in that week's shipping schedule, we must have your payment in-hand by 9 A.M. EDT on Thursday morning.